WASHINGTON — Lawmakers returning to Washington this coming week will find a familiar quagmire on health care legislation and a budget deadline dramatized by the prospect of a protracted battle between President Donald Trump and Democrats over his border wall. Trump’s GOP allies control Congress, but they’ve been unable to send him a single major bill as his presidency faces the symbolic 100-day mark on April 29 — the very day when the government, in a worst-case scenario, could shut down. Feeling pressure to deliver results, Trump wants to revive a troubled health care measure from House Republicans to repeal and replace President Barack Obama’s Affordable Care Act. Trump also hopes to use a $1 trillion catchall spending bill to salvage victories on his promised U.S.-Mexico border wall, a multibillion-dollar down payment on a Pentagon buildup, and perhaps a crackdown on cities that refuse to cooperate with immigration enforcement by federal authorities. It’s looking like a one- or two-week temporary measure will be needed to prevent a shutdown and buy time for more talks. Negotiations have faltered because of disputes over the border wall and health law subsidies to help low-income people afford health insurance. Trump’s Capitol Hill allies had been tempering expectations that the president will win much in the budget talks. Democratic support will be needed to pass the spending measure and Republicans fear taking the blame if the government shuts down on their watch. “We have the leverage and they have the exposure,” House Democratic leader Nancy Pelosi of California told fellow Democrats on a conference call Thursday, according to a senior Democratic aide. Pelosi wants the spending bill to give the cash-strapped government of Puerto Rico help with its Medicaid obligations, and Democrats are pressing for money for overseas famine relief, treatment for opioid abuse, and the extension of health benefits for 22,000 retired Appalachian coal miners and their families. An additional Democratic demand is for cost-sharing payments to insurance companies that help low-income people afford health policies under Obama’s health law. The payments are a critical subsidy and the subject of a lawsuit by House Republicans. Trump has threatened to withhold the money to force Democrats to negotiate on health legislation. Both the White House and Democrats have adopted hard-line positions on Trump’s $1 billion request for a down payment on construction of the border wall, a central plank of last year’s campaign. Talk of forcing Mexico to pay for it has largely been abandoned. But in an interview with The Associated Press on Friday, Trump stopped short of demanding that money for the project be included in the must-pass spending bill. READ MORE: Column: Why do so many American families feel so financially insecure? GOP leaders have shown no desire to revisit the issue until they’re assured there’ll be no replay of the legislative train wreck from March. The failure of that earlier attempt stung Trump and House Speaker Paul Ryan, R-Wis. The measure would have repealed much of Obama’s 2010 overhaul and replaced it with fewer coverage requirements and less generous federal subsidies for many people. As part of the White House drive to resuscitate the bill, members of Trump’s team including Vice President Mike Pence and chief of staff Reince Priebus have made multiple calls to Republicans. 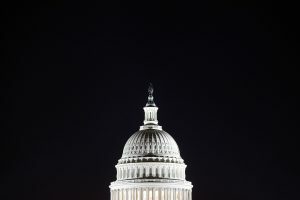 Two leaders of the House GOP’s warring moderate and conservative factions devised a compromise during Congress’ recess to let states get federal waivers to ignore some requirements of the health law. Those include one that now obligates insurers to cover specified services such as for mental health, and one that bars them from raising premiums on seriously ill patients. Rep. Dan Donovan, R-N.Y., an opponent of the bill, said last week that “it doesn’t cure the issues that I had concerns” about the bill. The moderate said his objections included changes to Obama’s law that would still leave people with excessive out-of-pocket costs.